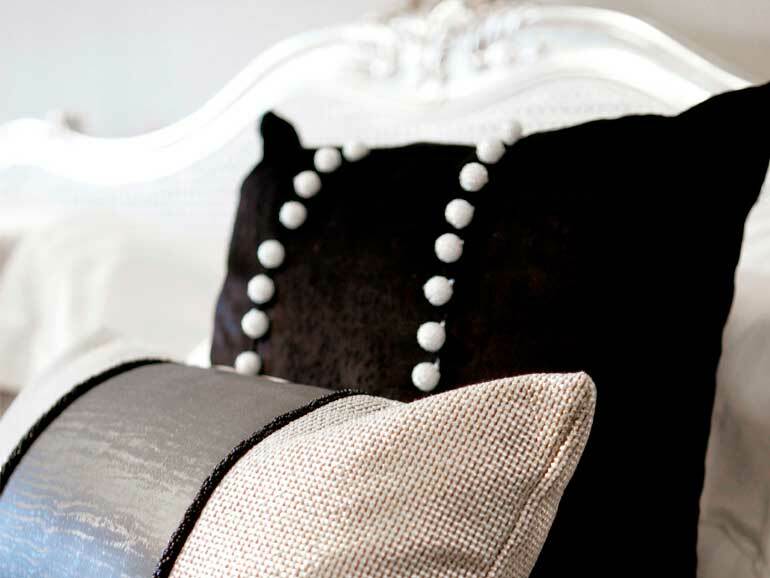 We can’t think of a better combination for a luxury Windermere break than a stay with us and some foodie trips out. And we love a chandelier and inspiring interiors here at the Windermere Suites, so the Gaddum at Brockhole was an obvious choice for one of our lunch or afternoon tea reviews. The restaurant decor is gorgeous they have gone with the history of the building and picked an Arts and Craft style which has been done really well and even though it was the beginning of September they had the fire lit and it felt lovely and cosy. The girl working there was really welcoming and friendly. It was quiet as it was a Monday but I would highly recommend booking ahead so that you don’t miss out at busier times. 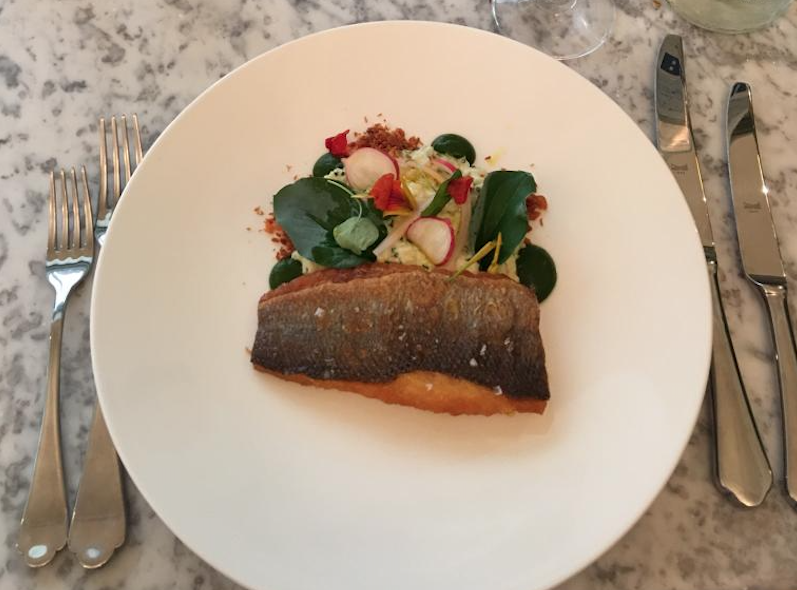 Matilda had the Cumbrian Beef and cracked wheat salad and I had the Pan fried Seabass. The presentation was stunning from the glassware and crockery to the cutlery choices, and most importantly the food was every bit as tasty as it looked. 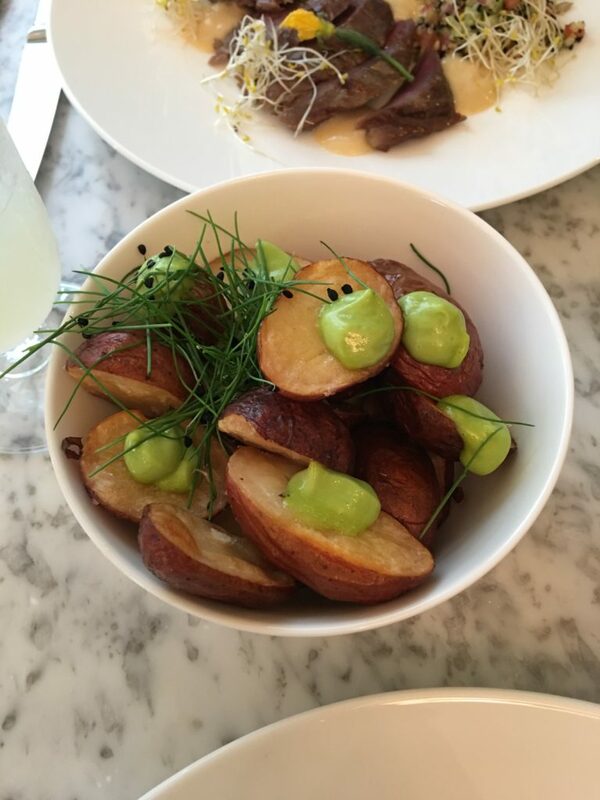 The potatoes that came to accompany the main course had a delicious wild garlic mayonnaise drizzled on them …heavenly. 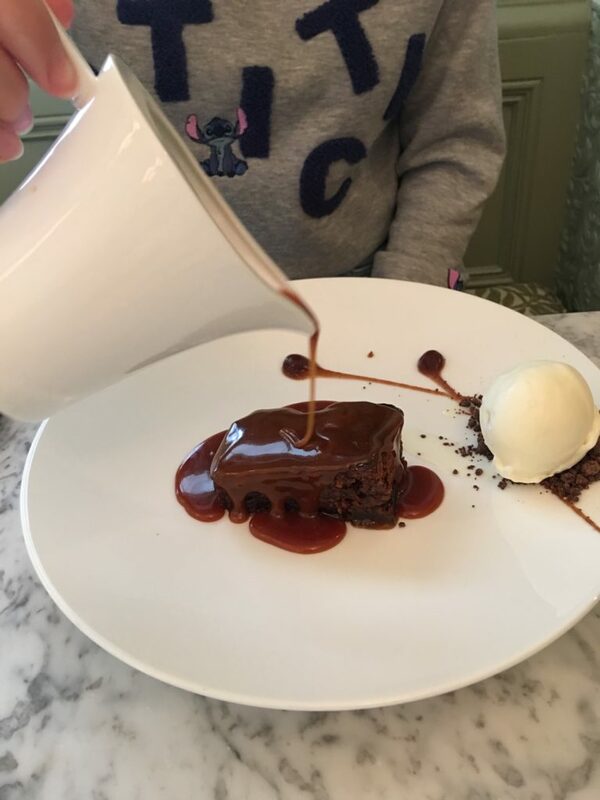 We opted for puddings instead of starters and Matilda had her favourite Sticky Toffee (just look at that sauce!) 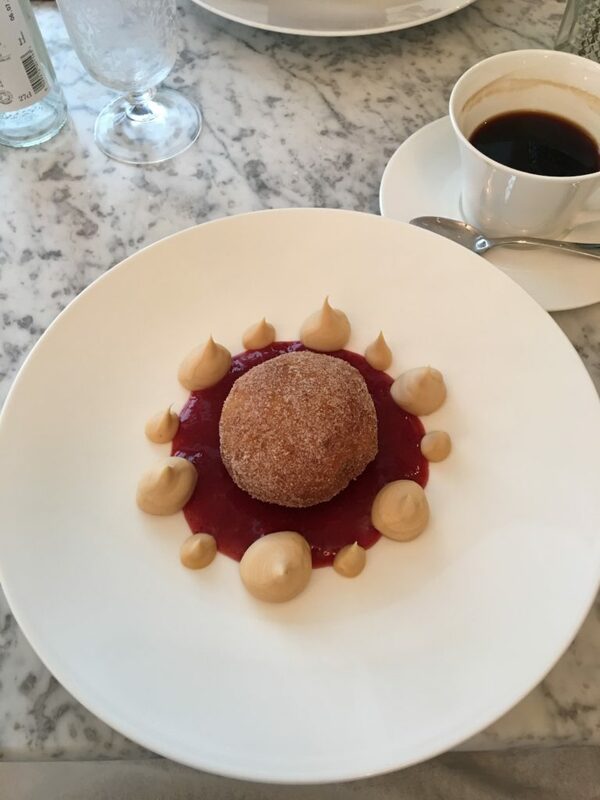 and I had the Donut (this is definitely not a donut as you may think you know it!). What’s truly fantastic about this restaurant is that it’s part of Brockhole, now managed by the Lake District National Park Authority but once the home the Gaddum family. As you enjoy your lunch in the beautiful Arts and Crafts inspired setting, there are terrific views of Lake Windermere, the gardens, and the backdrop of the Lake District. We really are so lucky to be located in the heart of this world-class landscape!